Susan Ostling's research interest is in examining the role and relationship of objects in everyday life - the cultural dynamic between people and things. She has received several Australia Council development grants and been a recipient of several Griffith University joint research grants. Susan has exhibited object-based work widely in Australia and in Germany, Singapore and South Korea. She has undertaken a number of curatorial projects - the most recent, Future Factor, which toured nationally, examined the impact of new technologies on craft and design practice and Lingua Franca, which considered the shared language between art, design and craft. She has actively contributed to dialogues across contemporary art and craft. 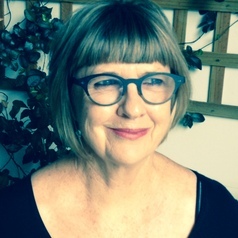 Susan has served on state and national arts advisory bodies and is undertaking a PhD looking at the way curatorial strategies have impacted on the formation of contemporary art.